I’m supposed to explain how and why I became a nerd, but I’m currently in the middle of James Gleick’s Chaos: Making a New Science so you’re going to have to bear with me wrestling with my own half-baked attempts at understanding what I’m reading and my discomfort at presenting some particular event as the discrete cause of my nerdy predilections. But I’m getting ahead of myself. Perhaps I could have left it there. Batman fights and defeats Firefly. I could have walked away. But I didn’t. I had questions and, suddenly, a quest. If there’s an 8, there must be a 7 and a 9. Who does Batman have to stop next, and who did he stop before? 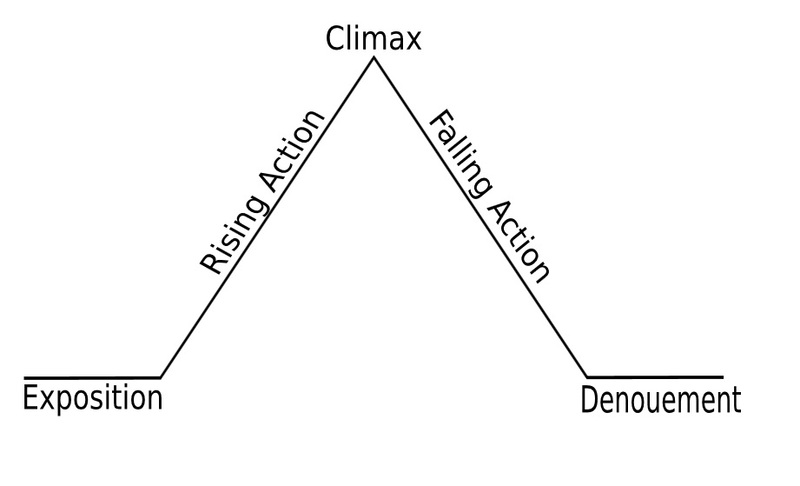 At some point, if you attend a creative writing workshop, you will inevitably come across Freytag’s pyramid as a theory of narrative structure. Exposition establishes the characters and the problem. Something happens related to the problem that raises the stakes in the rising action. Then we hit the climax, or turn, where the fortunes of our characters shift. Then in the falling action and denouement we resolve the problem, and everyone lives happily ever after. The elegant simplicity, and wholeness, of the pyramid as a mode of analysis reflects the classical works for which it was intended. The characters come into our lives as out of the forehead of Zeus: as realized characters with their own set of problems. We spend some time with them as they work out those problems, for better or worse. Once the problem is resolved we leave them, sometimes taking with us a lesson or moral. But where do we go with those lessons and morals once we’ve left those characters that imparted them to us? We go back to life. Inelegant life, where we are pushed and pulled and pitted against innumerable problems, stresses, and difficulties. There’s no one climax, no one turning point. Life is not one story. Now consider the Koch Curve. Begin with a triangle not unlike Freytag’s with the exposition and denouement tails. On each of the four line segments, remove the middle third and add another triangle. And then repeat. Forever. As a fractal, the Koch Curve is self-similar. No matter what scale one perceives the curve, it maintains the same shape. The small and the big look the same no matter where you’re looking. Now what if we take the Koch Curve and apply it to Freytag’s pyramid, i.e., what if we made Freytag’s pyramid infinite? So ‘Tec #662 has the self-contained story of defeating Firefly. 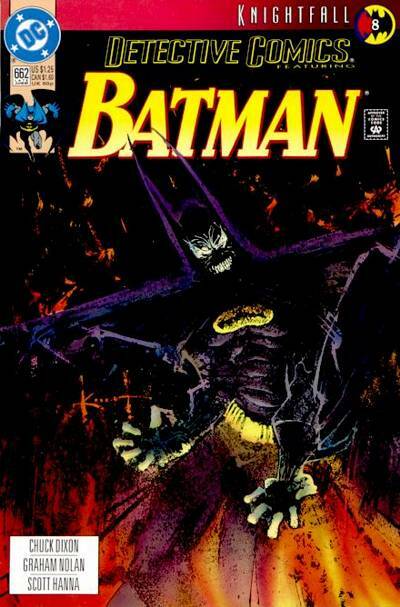 It is also part 8 of the crossover arc “Knightfall.” “Knightfall” is in turn part one of a larger three-part sequence with “Knightquest” and “Knightsend.” This is the appeal of comic books. An arc within an arc within an arc. 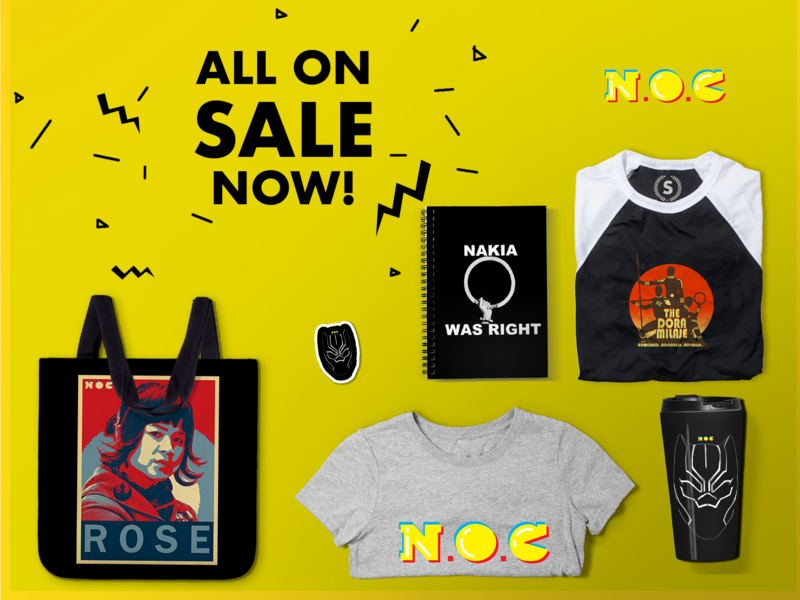 It never ends. When I picked up all of the “Knightfall” comics, the next thing to do was to try and find everything that came before that. I mean, who the hell is Azrael in the first place? And where the hell is Nightwing? You can pull out of the curve higher and we start to follow the stories of all of Gotham’s heroes from the Robins to the Batgirls and Huntresses. Then further still, you pull out to the wider world of the entire DC universe, though that’s probably better represented by the Koch Snowflake. Everyone knows Batman. When we think of Batman, we think of him in a Euclidean/Freytagian way. Bruce Wayne’s parents are killed, and Batman is born. Batman fights crime. Batman is mortal and will die. We think of Batman as a single choice. Wear a mask, stop crime. But the Batman’s life is fractal. The details are infinite; therefore, the stories are infinite and endlessly connected. We know the overall shape of Batman. He fights crime. But fighting crime is an endless series of choices. And he is always free to choose the opposite. To stop. To give up being Batman. But it is Bruce Wayne’s resolve, the character choice to always choose to fight crime, that makes Batman Batman. Though the challenges go on forever and compound forever, we know Batman’s arc. He will always choose to fight crime, and he will die doing so. Batman is both Euclidean, an ideal, and fractal, infinitely making choices having stories to tell. Franchise Narratives like Batman or the Marvel Cinematic Universe or even the Star Trek Canon maintain this fractal structure. We know these characters so well and so instantly, but they can have innumerable stories because there doesn’t have to be an end. We can always zoom in and zoom out. We can always find both smaller and grander stories. We love these stories for their infinite narratives that go on and on, intersecting and confounding and conforming with one another. We love them because we have our ideal characters. The Batmans and the Captain Kirks never and always change, constantly responding to the endless turns of fortune, big and small. We love them because they live. And that’s why I’m a nerd. Love this – would love to see the Koch curve illustrations but they’re not showing – help?